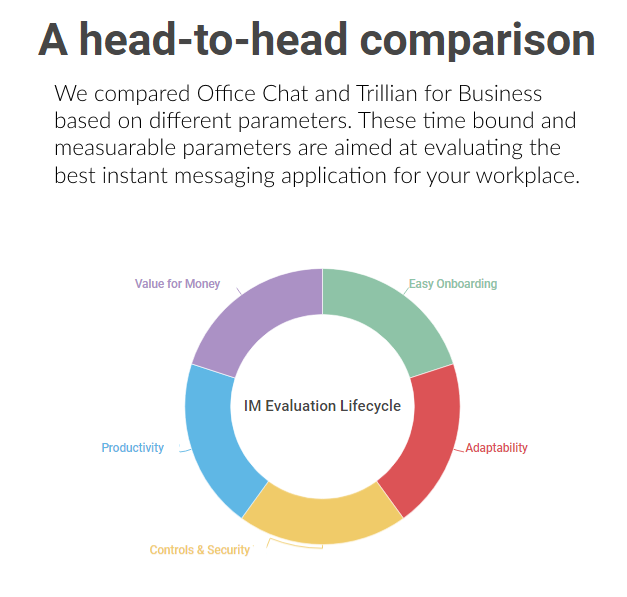 You are here: Home / Communication / Office Chat vs. Trillian for Business: Which App is a Winner? Trillian is one of the oldest Instant messaging service still available. 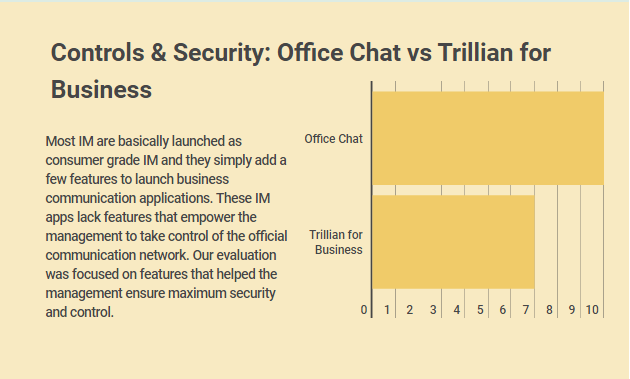 Released in 2000 as a freeware IRC client, Trillian has come a long way and now focuses majorly on business instant messaging. 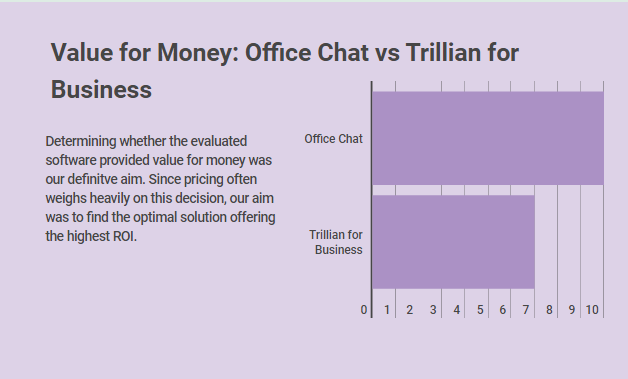 We decided to compare Trillian for Business and Office Chat on various factors to determine which one fares better as a business communication application. For the course of this evaluation, we created free accounts on both Office Chat and Trillian to test their features. 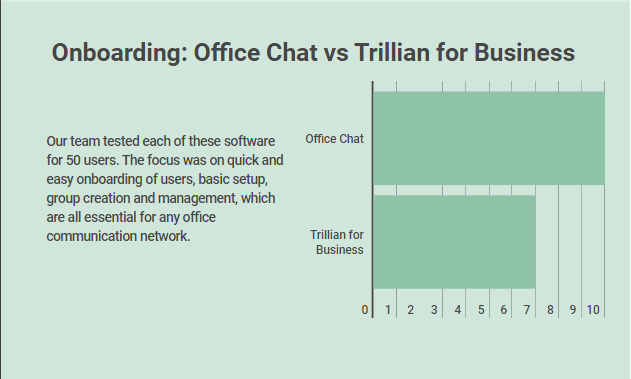 We tried to onboard 50 users on both Office Chat and Trillian accounts. Users can be invited to Trillian using email ID, bulk invite or ‘adding without invite.’ Inviting users with email ID ending in the company domain works well, but if you have to add users who do not have company emails it is tedious. Without the bulk CSV upload feature, this becomes much more time consuming as usernames for each new user must be added manually. Limited user management features are available for the admin. Group chats here are of two types: Private Groups and Public Groups. Though new groups can be created with ease, group management features by the admin are limited. There is no way to edit the invitation email message for users. Adding users with Active Directory or Open LDAP is only available with Trillian Server (On Premise model). Also users are not able to invite colleagues and the sole responsibility of adding users lies with the admin of the domain. With Office Chat, users can be invited using their emails individually, using CSV imports for bulk users and even LDAP integration (available with Office Chat Enterprise Plan). Users can also be added to Office Chat using login IDs. The Office Chat User Management interface is much more advanced as compared to Trillian. You can enable/disable users from inviting their colleagues to your Office Chat network. Creating groups and adding users to these groups can be done easily from multiple platforms. 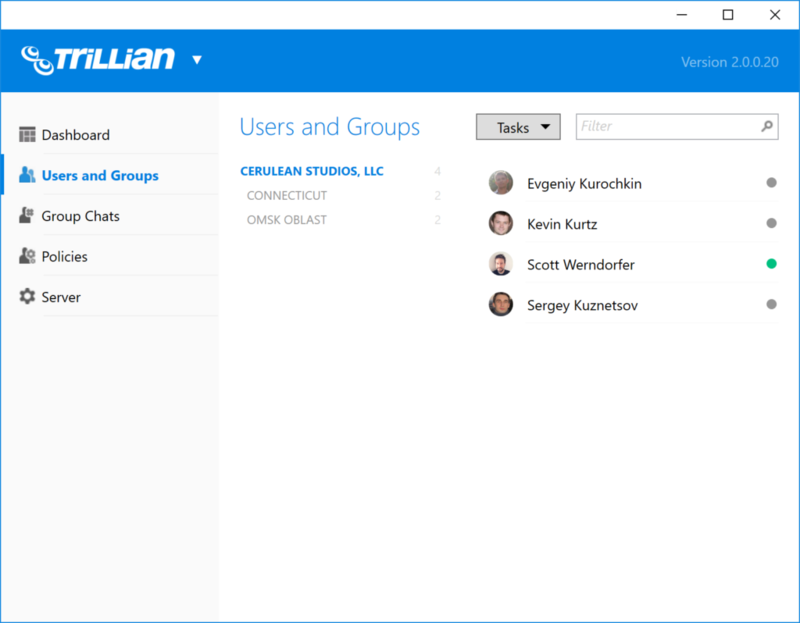 Groups can be managed much more efficiently as compared to Group Chats within Trillian. Support for all Trillian services is through an online form. There is no provision for phone-based support, live chat or an email address where users can send their queries. We tried to explore more help articles and found that the knowledge base is generally for the Trillian Server clients and you will often not find help articles for Platforms such as Mac, Android or iPhone. Our team was also unable to find any video tutorials or guides to help us with the setup. 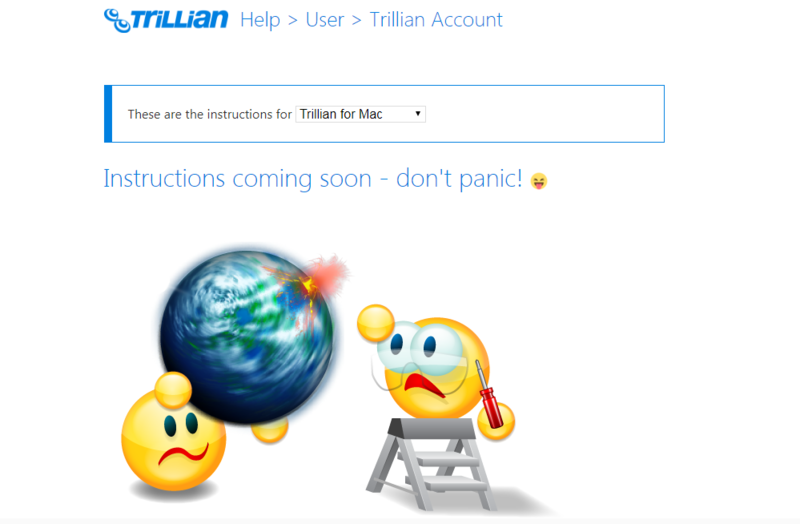 Trillian offers their services for Desktop (Mac, Windows), Mobile (Android and iOS) and Web browsers. The features on most of the clients are limited. For example, Trillian Android App does not offer GIFs or emojis. These features are exclusive only to Windows Desktop App and the browser-based versions. Video conferencing is not available with Trillian, athough third party integration is available with applications such as Skype, Jabber and Facebook Messenger. The features that we liked in Trillian are that Message History is searchable and there is no Message History limit. Also, policies for different groups can be set. Files sharing is limited to 25MB and larger files cannot be shared. Office Chat provides support 25×7 via Live Chats and emails. Users can reach out to support via forms on the website, too. Office Chat help articles include videos and step-by-step guides for users. Office Chat users access the same features – such as emoji, GIFs, etc. – throughout multiple platforms. Third party integration is possible with application such as Zendesk, Join.me, GoTo Meeting, Mail Chimp, etc. Video Conferencing (currently available via third party application) and Audio Calls are new features that can be added. The File storage for Office Chat is 25 GB for Startup and Business plans and 100 GB for Enterprise and HIPAA/BAA plans. Features such as priority messaging, default groups and admin announcements enhance the usability of Office Chat. Trillian offers very limited admin controls over its cloud-based network. Features such as Audit Logs and Security Logs are absent. Though user device management is available, no history is maintained about users and their access to the network with the cloud model. HIPAA compliance, retention and LDAP features are limited only to the On Premise model. Office Chat offers features such IP Whitelisting, Audit logs, Security Logs, User device management, Two-factor Authentication, etc. make your network much more secure. All messages exchanged and files shared on Office Chat are encrypted in transit (TLS/SSL) and at rest (256-bit AES encryption). With custom data retention and deletion rules, admins of your company control how long you want your data stored. Remote device management helps to disable or wipeout downloaded Office Chat content on mobile devices. Two-factor authentication (2FA) security can drastically reduce the risk of online identity theft. User and access management helps to easily add, remove or investigate users through the admin portal. 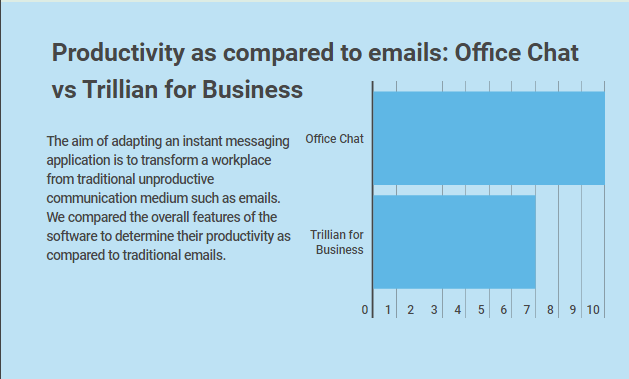 Trillian does benefit the organization when compared to emails. Private Messages, Public Groups and Private Groups helps communicate efficiently. Notifications on Smartphone and Desktop Apps help the workforce to stay updated. The restrictions to share larger files on the Cloud model is limiting (Trillian restricts files sharing to 25MB only). We tried using Trillian on various platforms and found that message receiving is delayed frequently. As compared to emails, Trillian does help with third-party integration services like Skype, Facebook Messenger, Jabber, etc, but each time you reset your password you lose all your account information. Office Chat can be used to effectively replace unproductive emails. Adding Users to Office Chat network, creating Private Groups, managing compliance and retention policies for private groups, sharing rich media files without size restrictions help to create an efficient workplace that relies on seamless communication. Video Conferencing can be used effectively to conduct productive meetings. Rich media files can be viewed online with Apps. Trillian’s roots lie in connecting multiple messengers together. The unique feature that it provides is the ability to use older chat services with their client. 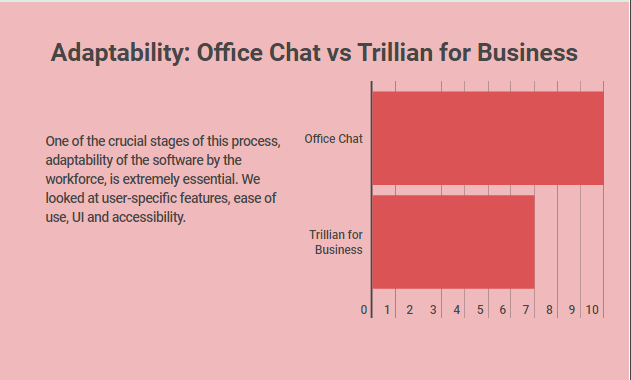 Trillian offers excellent features that can definitely compete with any other consumer-grade app available, but our evaluation of Trillian for Business leaves some crucial features to be desired in terms of functionality. Office Chat aims to cater to all business communication requirements. It can be the first thing that you access when you open your laptop/smartphone and it serves as the perfect medium to cross collaborate with teams. Available on multiple platforms, Office Chat can be used to seamlessly cater to the needs of a productive workplace.